The Mr. Heater F232000 MH9BX Buddy Indoor-Safe Portable Radiant Heater is the ideal solution for anyone looking to stay warm in the colder winter weather. Keeping the cold away from rooms in your home doesn’t need to be difficult and you can save money by applying supplemental heat in a room instead of using your full central heating system. 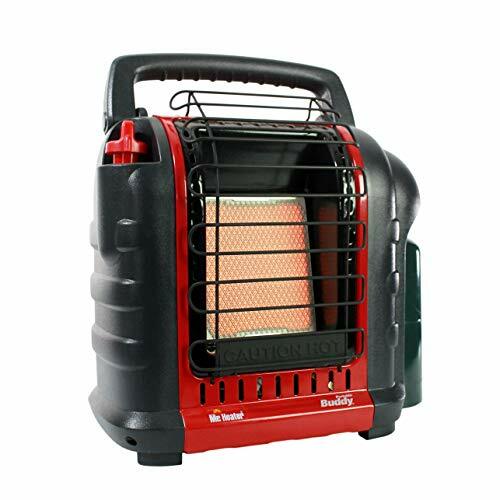 This portable heater is safe to use indoors and it is completely portable. You don’t need to worry about buying an extra heater for every room, as you can simply move from one room to another with this one. The Mr. Heater F232000 heater is an indoor radiant heater, which provides heat quickly and efficiently to your room so that you will be feeling warmer in no time. It is possibly the best garage heater for smaller sized garages and can also be used in the home. 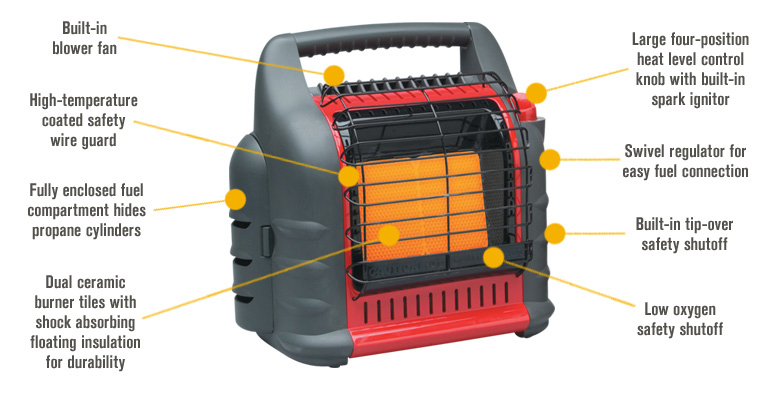 This heater is packed with plenty of great features, making it as convenient and versatile as you need it to be. The folding handle folds neatly down when it is not needed, but allows you to simply grab the heater when you want to move it so that you can carry it from room to room. In addition to being easy to pick up, you can be sure that it won’t hurt your back whilst you’re carrying it, as it is so lightweight. As this is a radiant heater, it warms the room comfortably, but as well as this, you won’t need to worry about it producing harmful fumes in the air. Some heaters of this type can create harmful gasses in the air such as carbon monoxide. This heater, however, comes with a sensor that will cause the appliance to automatically shut off if the oxygen levels in the room drop too much. This makes it safe for indoor use. 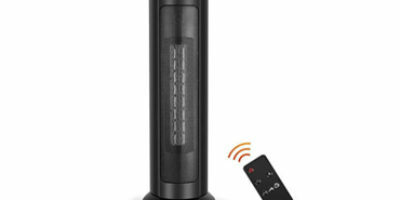 You will be able to set the temperature of this heater to suit your needs. If it’s not such a cold day and you only need a little heat, you can set the heater to run at 4000 BTU. If it’s particularly cold, however, you can turn up the heat to 9000 BTU instead. This will save energy when you don’t need so much heat and will allow you to be more comfortable. Don’t be fooled by the size of this heater. It may look small and be lightweight, but it can actually heat a room of up to 200 square feet. This will make it perfect for most rooms in your home and you’ll be able to provide all the heat that you need without using a heater that is excessive or cumbersome. This heater comes with an auto shut-off feature that will ensure that the heater switches off automatically if it is tipped or if the pilot light goes out. You can enjoy 100% energy efficiency with the heater, which means that all of the energy that is used to power the heater goes into creating heat without any wasted energy. This makes it an economical heating solution. A high-quality ceramic burner tile is integrated into the design of this heater, which offers shock absorbing insulation. This is a highly durable option and if it needs replacing, this can be done with ease. The heat can be dispersed over a wider area thanks to the porcelain-coated heating surface. You can enjoy maximum coverage in your room thanks to the design of this radiant heater. This is a fairly small heater so you should take this into account when buying. If you have a garage or room that is larger than 200 square feet or if you have particularly high ceilings, this heater on its own will probably not be sufficient for heating your area. Mr. Heater F232000 MH9BX Buddy Indoor-Safe Portable Radiant Heater is a great solution for those who are looking for a smaller heater that is easy to transport and that can provide safe indoor heat. Whether you are working in your garage or relaxing at home, you can be sure to have comfortable radiant heat. 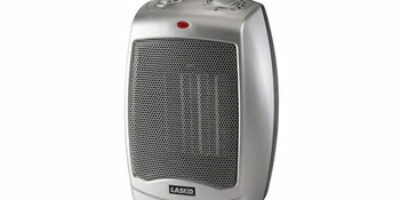 The list of pros and cons outlined in this review gives you an idea of why this is one of the top-rated space heaters on the market today. Remember that this heater may not be suitable for you if you have a larger garage or room.